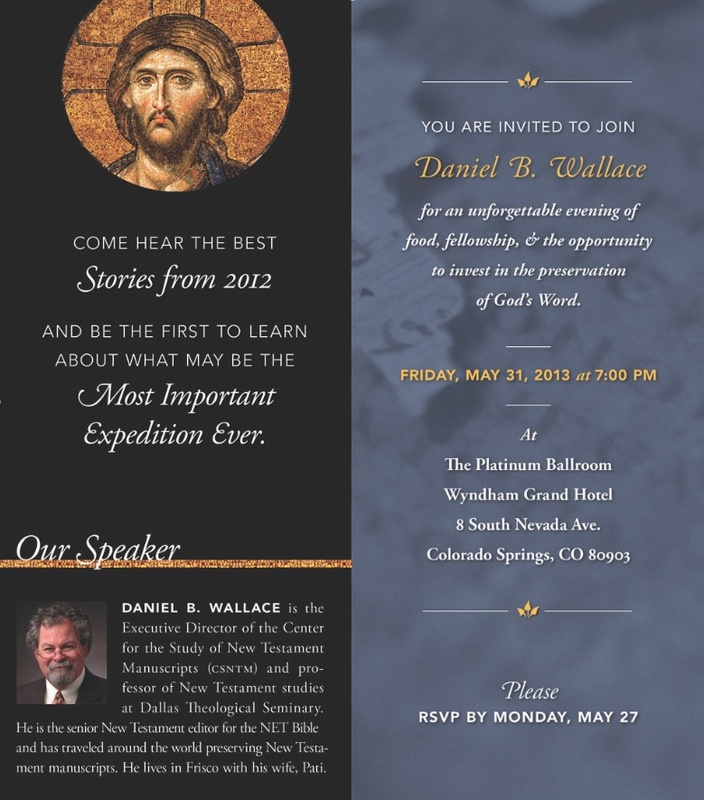 If you’re in Colorado–anywhere in Colorado–you won’t want to miss this event! You will learn about a unique project: The Center for the Study of New Testament Manuscripts is involved in digitally preserving ancient handwritten manuscripts of the New Testament and making them available online. Having access to the best images of the Word of God is the foundation for all future Bible translations. You owe it to yourself to find out about this exciting opportunity to invest in something that has eternal value. For more information please email Dana Cooper. I haven’t seen the NASB Key-Word Bible, but if they’re calling θεος an adjective they’re mistaken. It’s a noun. What I argued for in my grammar is that it is a qualitative noun. It would thus function adjectivally but it would still be a noun.